"I want to thank emedsimulations for allowing us to add their tutorial to our website. I envisioned doing something similar to help educate potential clients, but they have done a great job. We are working with brain injured veterans and some older Colonials and Generals who have never heard of HBOT. I can guide them to the tutorial and they can take a self guided lesson on the possitive benefits of HBOT. Education is very importaint to my clinic and I would not hesitate to recomend this tutorial to be part of your web pressence. Thank you again!" "Love it! "This is the kind of educational tool needed for hyperbaric, covers the entire process in a systematic fashion that can only improve your skill set"! " 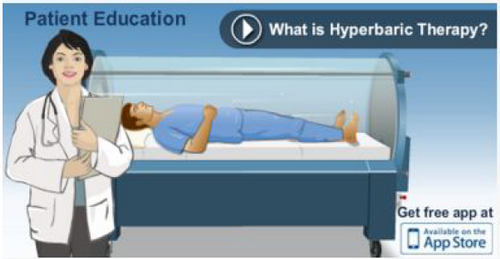 Subscribe for free hyperbaric marketing video for 30 days.